The Drunken Nanny • What’s all the fuss about Goats Milk? Here at The Drunken Nanny, we are devoted to producing products that will delight the senses of even the finest cheese connoisseur, without leaving them nursing a tummy full of gripe and an unpredictable bathroom schedule. Looking at the physicality of a goat, it’s weight is more in line with that of a human. As opposed to a 1,000 kilo cow. This may offer up a valuable clue in regards to ease of digestion. We choose to see this as truth that the milk of a goat is more compatible for a humans digestive system. 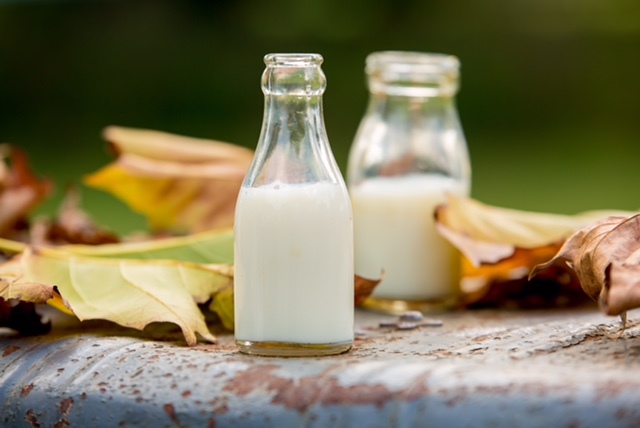 Another factor is the process by which typical shelf bought cow’s milk goes through – usually, the milk ends up quite far from the original liquid that comes from ol’ Daisy. Oppositely, our milk is gently vat pasteurised. This allows us to keep our milk safe and keep it as close to its natural state, whilst being free of bacteria or other harmful organisms, and unnecessary additives. Although we are not a certified organic farm, we prioritise a grass-based farming method, which sees our goat’s happily graze on organic pastures year round. Our goat’s also snack on a daily dose of cider vinegar and seaweed which enhances the unique flavour and nutrient profile of the resulting cheeses. We currently hold a flock of 100 dairy goats, with Saanen and Toggenburg and a small percentage of Nubian breeds making up the mix. These ladies are known for their superior milking ability, all have their own identity, personality and name, and most importantly showcase a happy and cooperative work ethic when it comes to delivering you and your tum the most suitable and sensible cheeses to devour without uncomfortable consequence!